Agency (NSA)’s massive data mining effort to access millions of communications of even friendly nations have sent shock waves across the world. It has exposed the vulnerabilities of increasingly net-worked electronic communication despite great progress in securing them against snooping. Surveillance of electronic communication and wire tapping have a long and controversial history in the U.S.. After the 9/11 Al Qaeda attacks exposed serious gaps in the U.S. intelligence gathering efforts, the NSA launched PRISM – a massive electronic surveillance data mining programme in 2007. Its ostensible purpose was to trawl terror networks across the globe for information. However, the programme seems to have widened its scope well beyond its original purpose to eavesdrop on millions of communications of all kind everywhere, probably with official sanction. At the start, the PRISM programme was being conducted within the ambit of the Protect America Act of 2007 (PAA). 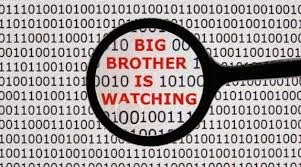 The PAA removed the requirement of a warrant to conduct government surveillance of foreign intelligence targets outside the United States mandated by the Foreign Intelligence Surveillance Act (FISA). Its authorisation of massive information gathering of public and private networks with an internal oversight procedure became controversial. Though subsequently the FISA Amendments Act of 2008 (FISAAA) replaced PAA, the new act incorporated many provisions of PAA. After a lot of criticism, the U.S. Foreign Intelligence Surveillance Court of Review now provides the NSA a thin veneer of legality to conduct PRISM’s dubious snooping operations including wire tapping. Strong anti-U.S. sentiments were triggered when The Guardian newspaper published the Snowden disclosures about the NSA’s clandestine tapping of telephone conversations of leaders and heads of states of friendly powers like Brazil, France, Germany and India. German Chancellor Angela Merkel and Brazil’s President Dilma Roussef took strong exception to the NSA’s perfidious conduct compromising the secrecy and security of their official and personal communications. The U.S. government’s official sanction accorded to the programme terribly annoyed them. While the German Chancellor took it up directly with President Obama, the Brazilian President cancelled a much awaited official visit to the U.S. The U.S. President, while visiting Germany on June 19, 2013 defended the PRISM programme describing it as “a circumscribed, narrow system directed at us being able to protect our people. His claim that “as a consequence [of the programme], we’ve saved lives” failed to impress the affected nations. While Germany has taken it up at official level with the U.S., Brazil has called for an international conference in 2014 to discuss the issue. How India will respond to Brazil’s initiative remains to be seen. This is neither the first time the U.S. has spied upon friendly powers nor PRISM the only such operation. According to Vikram Sood, former head of RAW, the U.S., UK, Australia, New Zealand and Canada took part in project ECHELON to conduct electronic surveillance on its European allies among others.Then why PRISM has created such furore? Were Germany and Brazil overreacting? There are probably two reasons for it. Snowden had disclosed that the NSA was also engaged in hacking civilian infrastructure networks including universities, hospitals and private businesses in other countries Documents leaked in the media showed that many technology companies like Microsoft, Yahoo, Facebook, Google, YouTube, Skype and Apple were roped in to participate in PRISM programme. According to media assessment 98 percent of PRISM data was based on Microsoft, Yahoo and Google. As most of the global internet communication passes through these U.S. based systems, probably the PRISM has evoked greater international concern. A second aspect is intelligence programmes like PRISM should not be considered as mere intelligence gathering tools. They are part of nation’s overall cyber warfare capability. They would play a vital role in snooping, hacking, and compromising of communication networks of military and vital national infrastructure. India’s reactions to PRISM have been curious and ambivalent. Initially the external affairs ministerial spokesman said any privacy violation of PRISM would be ‘unacceptable.” However, the Minister of External Affairs Salman Khurshid on the sidelines of the ASEAN regional forum meet on July 2, 2013 defended the programme. He said it was “not scrutiny and access to actual messages. It is only computer analysis of pattern of calls and emails that are being sent. Some of the information they got out of their scrutiny, they were able to use it to prevent serious terrorist attacks in several countries.” Prime Minister Dr Manmohan Singh’s subdued response to the issue during his meeting with the U.S President when he visited Washington after the Snowden disclosures drew a lot of criticism in India. The colossal data mining capability demonstrated by the NSA will have far reaching impact upon intelligence gathering worldwide. An important step towards denial of electronic snooping would be to reduce to the dependence upon the U.S. Global Positioning System (GPS) by developing indigenous regional navigation satellite system. So far only the U.S., Russia, and China have their own domestic satellite navigation system. It is heartening to note that India has taken the first step to overcome this weakness by launching the first of a cluster of seven IRNSS satellites in July 2013. This navigation system costing Rs 1600 crores will be made up of seven satellites named IRNSS-1A to IRNSS-1G. It will provide India’s own domestic navigation system when completed by 2015-16. India had been using electronic surveillance as an effective tool of its national security effort for quite some time. It was electronic surveillance that successfully eavesdropped on General Pervez Musharraf’s conversation with Lt General Mohammed Aziz Khan during the Kargil War to confirm Pakistan army’s involvement in the conflict. Pakistani terror groups like Lashkar-e-Tayabba (LeT) has been using social networks like FaceBook, Twitter, YouTube etc. for quite some time. And India is LeT’s main target. So, electronic surveillance will continue to be an essential arm in India’s battle against terrorism. The PRISM experience has shown extensive misuse of its capability in spite of oversight procedures in place. It also shows how the government can distort such operations to suit their political purpose. There are also moral, ethical and legal grounds on which clandestine wire tapping and related electronic data mining have been criticized. The whole PRISM episode has demonstrated the need for greater accountability, independent auditing and legislative monitoring of the entire chain of actions in surveillance programmes. There is no doubt that electronic surveillance systems intrude upon individual’s right to privacy and curb his freedom of communication. While no democratic government can ignore such concerns, these have to be balanced against threats to national security from terrorism and globalised trafficking in arms, drugs and people. So India has no other option but to strengthen its electronic surveillance capability. At the same time, we need to tighten the accountability of intelligence agencies through independent auditing of their surveillance activities and effective oversight procedures.